The vast majority of the bankruptcies have been in the UK. A TOTAL OF 77 former property players in debt to the National Asset Management Agency have been declared bankrupt since the toxic loans agency was set up. Finance Minister Michael Noonan said that the vast majority of the debtors that have gone down the bankruptcy route have done so in Britain and Northern Ireland, where 63 cases have been processed. Two have been made bankrupt in the United States, with the remaining 12 going through the process in Ireland. Just 44 debtors have managed to exit the process, all in Britain and Northern Ireland. In a reply to Wicklow-East Carlow Independent TD Stephen Donnelly, Minister Noonan said that he is not currently aware of any debtors that have exited bankruptcy in Ireland or the US. In a review of Nama’s operations by the Department of Finance published earlier this week, the Government flagged ‘debtor fatigue’ as a risk to Nama achieving its objectives. The longer the debtor resolution process extends, the more a debtor may feel that insolvency or bankruptcy may be a viable alternative to end their relationship with Nama more quickly. 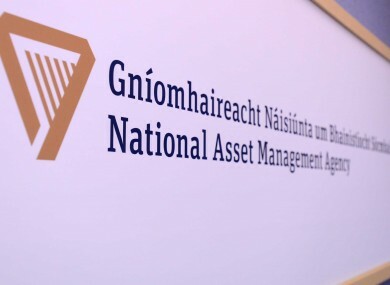 Nama said that it is looking at ways to combat ‘debtor fatigue’, which it says could limit the amount it is ultimately able to recover from tranches of loans it has taken command of. In response to a separate parliamentary question from Fianna Fail finance spokesman Michael McGrath, Noonan said that the bad bank has granted rate reductions to debtors and receivers with an annual value of €19 million. Email “How many Nama debtors have gone bankrupt so far?”. Feedback on “How many Nama debtors have gone bankrupt so far?”.